Tags : British Columbia, Northpaw Brew Co. 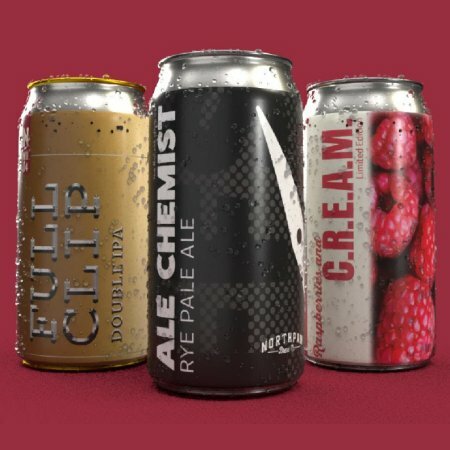 PORT COQUITLAM, BC – Northpaw Brew Co. has announced details of three new seasonal brands for spring. Full Clip Double IPA (7.8% abv, 40 IBU) is “a well balanced and flavorful hazy Double IPA” that has been double dry hopped with Citra, Simcoe & Idaho 7. A launch event for the new trio will take place at Northpaw on Saturday March 23rd, with glasses available in the taproom and 473 ml cans in the retail shop. Growler fills will also be offered, although only on Saturday for Raspberries & C.R.E.A.M – as well the previous C.R.E.A.M variant, the lime-flavoured C.R.I.M.E – while fills of the others will remain available after the launch while supplies last. For more details on the launch, including a list of other Northpaw beers and guest taps that will be pouring, see the announcement on Facebook.